With the ending of chilly winds and dark winter days, now we are welcoming sunshine. 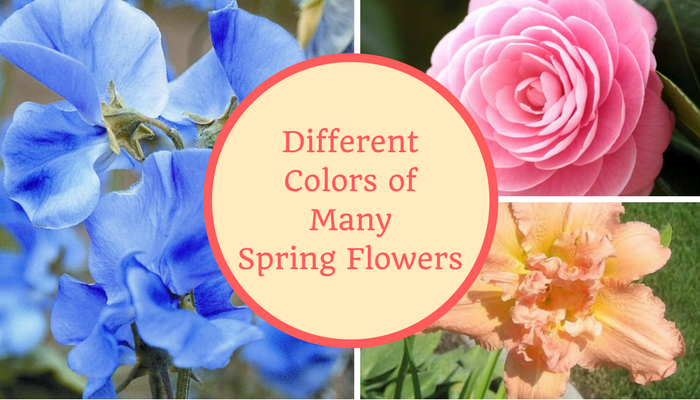 Especially the spring flower that makes our garden looks exceptional by splashing colors all over. They also bring positivity after the long gloomy days of winter. Wondering which kind of flowers to offer your loved ones? Take a quick look at the blog where each color will signify its own meaning in the absolutely striking way. Buy from an online flower shop and make your day extra special. Rose Quartz is a winning color tone. 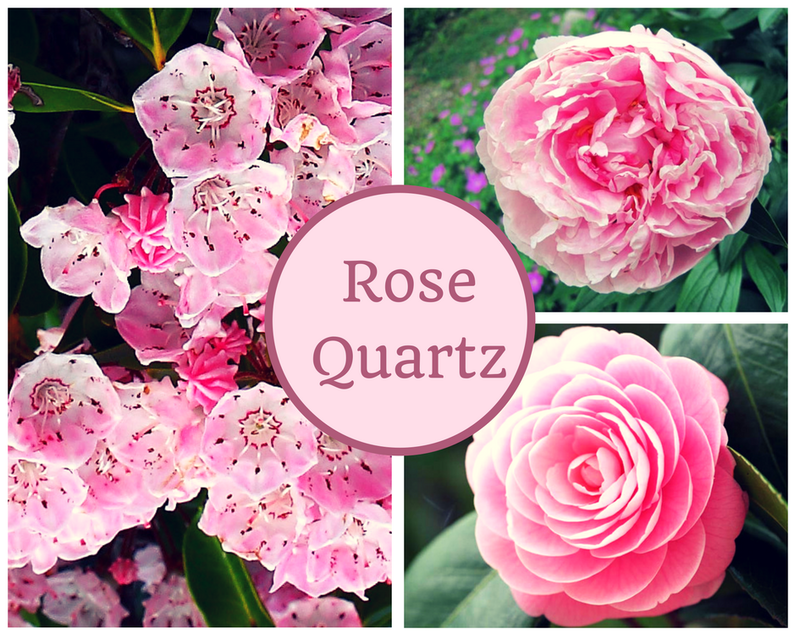 Like the blush rising on cheeks or the serene sunset, promising flower rose quartz conveys kindness. With its happy-go-lucky color, it reminds us of about the jovial summer months. The big pastel flowers peonies grow in April to May depending upon the kind of you wish to have. They are easy to grow and require incredible sunshine almost for 6 hours along with well-drained soil. Mostly grown in a perennial garden they look attractive all throughout the season. When they are mixed with a bouquet of other bright blooms – they look absolutely elegant.Peonies hold a strong sense of royalty. Not to forget they symbolize romance, good fortune and honor. Camellias are intense shrubs that are evergreen and have exotic foliage. Found in Eastern and southern Asia they have become a lot popular in America especially down towards in south. They take almost 6 -7 months for the bud to develop. And when the spring arrives they start to bloom. Camellia needs acidic soil and well-drained soil. Camellia puts forward your feelings depicting your passion, perfection, faithfulness and of course integrity. Known as the best late spring and summer blooms – mountain laurel is shrubs and trees grown mostly in the eastern United States. Starting from late spring they grow in early summer. With partial shade, mountain laurel requires less acidic soil but adequate amount of water. The plant is poisonous to most of the animals when eaten or swallowed. Mountain Laurel signifies ambition, perseverance and offered a mark of achievement. 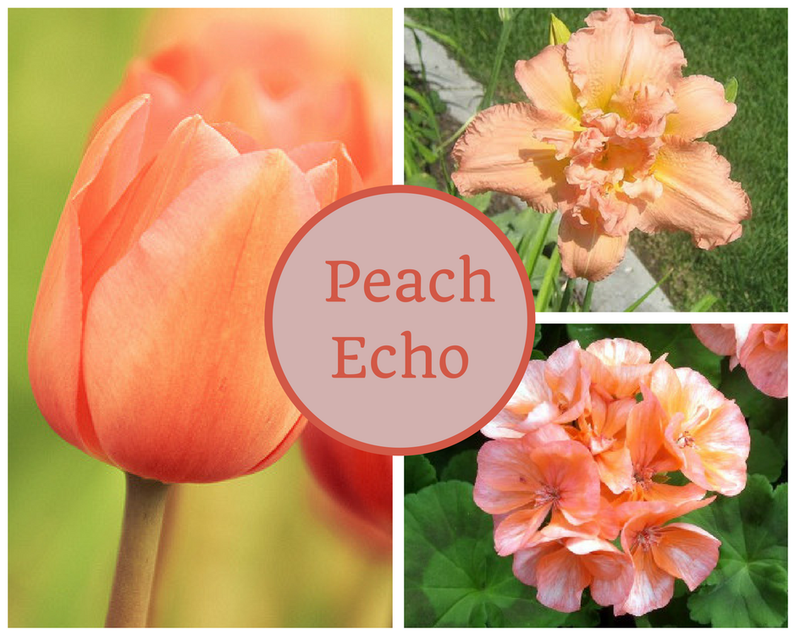 Amicable nature and warmth Peach Echo evokes the enthusiasm in you. The first rays of the sun or the sun-kissed colour. It comes from the mischievous orange family. Tulips are mostly available in each and every color. From deep blood red to pastel shade of pink. Mostly they start to open up in between March to May. They’ll grow again after a year since they are perennials grown in full sunlight. There is much another kind of tulips like the doubled tulips, lily-flowered ones which you can order and send flowers to Germany.Each color of tulips has different meaning but in general, it says perfect love. Geraniums are the bedding plants which are commonly grown in the garden and indoors as well. They are very simple to grow as long as you give them what they need. Geraniums are in two varieties biennial and perennial. From spring to early fall they look vibrant best in the sunshine. Don’t forget to water it regularly else it will be dried.True friendship, unexpected meeting and good health are what gets expressed when you give Geraniums. Mesmerizing and colorful bounty Daily lily is an inhabitant of Asia. They are nearly available in every colour of the rainbow and diverse shapes. Daily lily is grown in suitable weather. Also, they have comparatively less disease and pest problems. They are also known as ‘beauty of the day’ as they bloom in morning and die at night.Daily lilies represent motherhood and are bound to make you cheerful. Like the blue sky above us or the serene lake which gives us feel of being tranquil. Similarly, Blue touch gives rest from the chaos around us. An uplifting blue color will connect us with space. The blue star also known as Amsonia is an eye-catching bloom. With its star shape soft blue color flowers, the name blue star was derived. They are very small but often come into flower into clusters. Found mostly in North America they are without any sort of hassle grown. Blue star needs partial or full shade else in dry and hot climate. 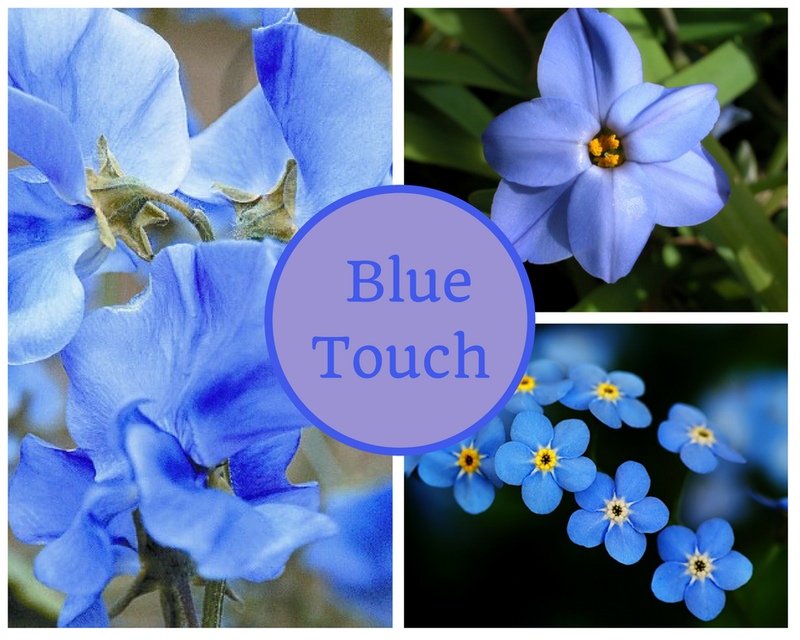 Serenity, intimacy, hope and deep trust are being defined by blue star flowers. Seductive and making beautiful for any bouquet Sweet Pea makes amazing flowers for gardens. Their heavenly fragrance and gorgeous look they grow in full exposure of the sun. Also, Sweet Pea usually blooms in spring and want loamy soil. It’s also found in various colors like Blue, Pink, purple, white, red etc.Sweet Pea is April birth flower and says a lot about being witty and expresses wisdom. Forget-Me-Not is a wildflower which is likely to capture the other parts of your garden. Hence they are being planted as ground cover. Forget-Me-Not is generally brought into being in late spring to early summer. Cool atmosphere and moist soil work best for it. Forget-Me-Not makes blue, pink and white flowers.It put across true and undying love and a connection that is everlasting. Spring being favourite of everyone fills our life with happiness and excitement. Celebrate your life with the ones you cherish immensely in your life by gifting spring flowers. When words are simply not enough flowers always say it right. Thus, pick any blooms from the above-mentioned guide and extend your heart with warm wishes. Previous Article 2 Healthy Hair Tips to Improve the Look of Your Hair!